It has been a busy year thus far at 202 E. Daniel and the end of the semester is closing in fast. I would first like to wish everyone a happy holiday season on behalf of the brothers of Sigma Rho and we hope you all have a wonderful time with your families over break. Finals are just around the corner and another successful semester for the Sigma Rho chapter of Beta Theta Pi is about to wrap up. With that said, I present the Sigma Rho Newsletter for the Fall of 2015. Earlier in the month, the undergraduates at Illinois met with the Sigma Rho Housing Corporation to discuss the future of the house that Sigma Rho's have called home for 103 years. Due to outstanding loans to the National Fraternity and the need for major structural renovations to the house, the Housing Corporation has decided to explore other housing options for the brothers of Sigma Rho. Upon request of the Housing Corporation, the founders of Royal Properties and Sigma Rho alumni, Mike Henneman 75' and Rick Schmidt 75', presented a plan to buy the land at 202 E. Daniel and build apartments in order to pay off the Housing Corporation's current debts. The Beta undergraduates would live in the apartments owned by Royal Properties along with various other students from the campus and have a structure in the center of the complex to congregate designated explicitly for Betas. Many of the students currently in the chapter attended the meeting and fervently voiced their displeasure toward the plans. Currently, the chapter is working with the Housing Corporation to reach a compromise so the chapter can continue to operate at 202 E. Daniel, where it has stood since 1912. Sigma Rho would like to congratulate the Spring 2018 class on their initiation. 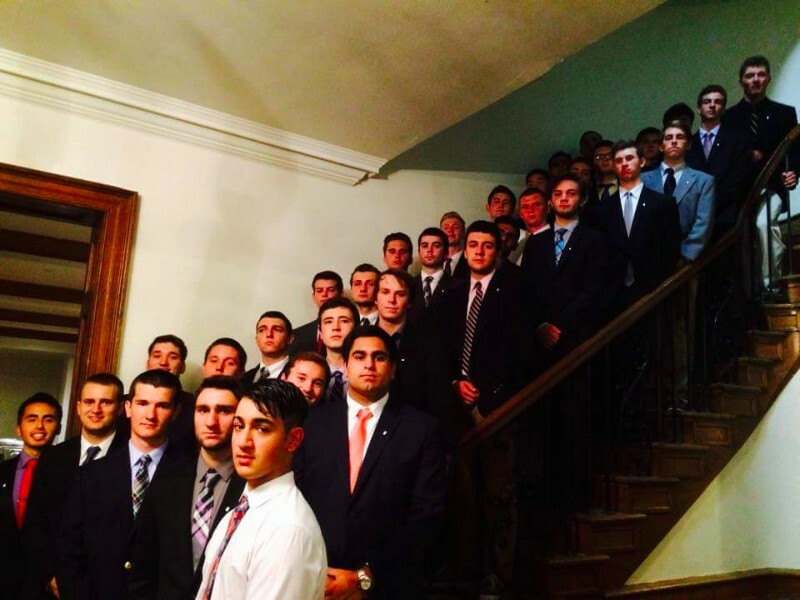 We are proud to call them brothers of the finest fraternity at the University of Illinois. Moreover, Sigma Rho once again had a successful rushing season. For those not familiar with "rush", it refers to the recruitment process of the chapter. Active members of Beta Theta Pi spend three weeks at the beginning of each semester talking to and giving out bids to new members that we believe will excel in their endeavors and wear the Beta letters proudly upon their initiation. 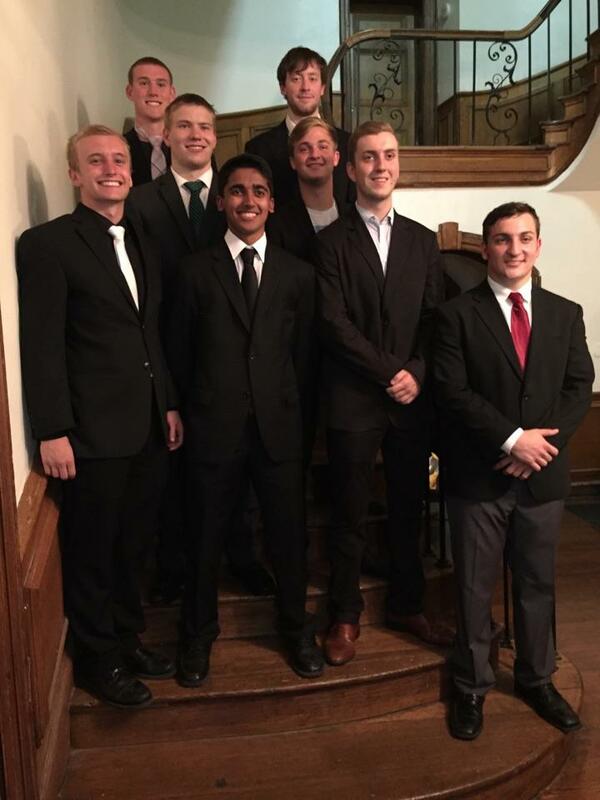 Thanks to Vice President of Recruitment Curt Olbrich 17.5', we were able to bring in a class of 32 impressive young men for the Fall semester. We look forward to seeing all of them grow as individuals and join us as brothers upon their initiation. This spring we hope to continue the trend with a strong spring recruiting season. Newly elected VP of Recruitment Cole Senesac 18' will take over for Curt next semester. If you have recommendations for potential new members contact Cole to let him know. With the conclusion of the rush comes our newest rush class - 32 members strong! Furthermore, I would like the highlight the intellectual and professional success of the active members of Beta Theta Pi at Illinois. Sigma Rho finished the spring semester with a 3.23 average GPA, 9th out of 47 fraternities on campus and significantly hire than the all campus average. Even more impressive is the professional success that members of the chapter have been able to accomplish. Many of our undergraduates have already received offers for internships and full time positions at leading firms in all types of industries. Below is a highlight of some of the companies our brothers are currently working for. Beta continues to produce leaders and successful young men in all aspects! - About Ryan: Ryan walked on to the varsity football team over the previous summer and is hoping to earn a scholarship for the next season. Ryan also plans to become a doctor one day and earned a 4.0 GPA last semester. "I went Beta because of the history of this house and the highly regarded individuals in it. They all seemed like leaders and people I wanted to surround myself with." 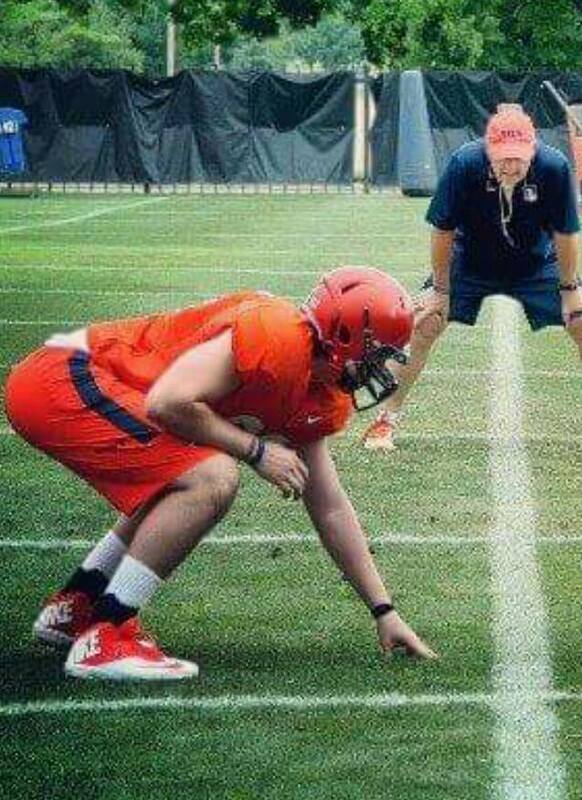 "I hope to earn a starting position on the University of Illinois football team. I'll be training all year to accomplish this goal." "My best memory of Beta was attending our winter formal last year at the Sears Tower. Going to Chicago with my date and all of my fraternity brothers was one of my greatest memories." - About Grant: Grant has spent the past year traveling all over the world meeting new people and experiencing different cultures. He spent his winter term traveling to South Africa with a group of students in the global studies program. 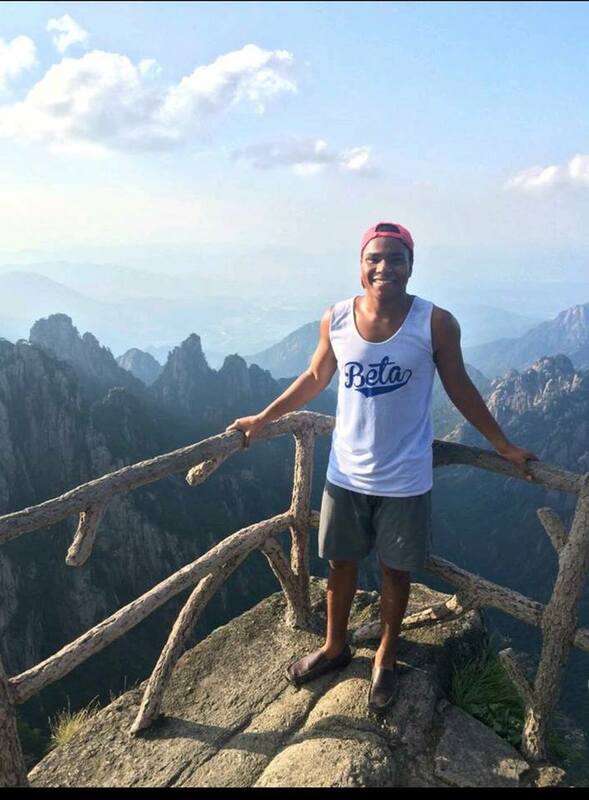 Over the summer, Grant went to Ningbo, China (pictured above) and taught english to Chinese students. "During recruitment Beta had the most genuine guys of all of the houses I went to and I knew I would fit in well here. I also saw the legacy and the potential that this house has on this campus." "I want to keep my grades high and continue to experience as much of the world as I can. I also want to enjoy my short time in college by spending as much time as possible with my friends and fraternity brothers." "My best memory is walking up to our house and looking up at the imposing pillars that tower over you from atop the hill at 202 E. Daniel. Every time I come back to the house, I know we have the best fraternity house on campus."